Carers Week (11th – 17th of June) is a time for individuals and organisations to celebrate carers, both paid and unpaid and raise awareness of the issues they face. 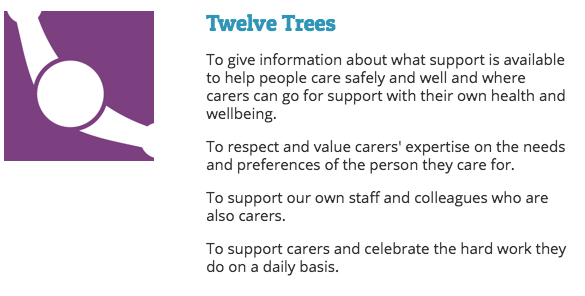 This carers week, we are looking at the ways in which we can support carers to stay healthy and connected. By building communities to support carers, we can help carers to look after their loved ones well, and also recognise that they are individuals with health and social needs of their own. As part of our pledge to carers, we are running a special event in partnership with one of our favourite venues, The Old School Cafe, which is open to all carers. The coffee and cake afternoon will be a chance for carers to get out and socialise with other people in their situation. For more details see our Facebook event invitation. The event is on the 14th June at 1-3pm. Stay connected online by using the hashtag #carersweek2018 on social media.